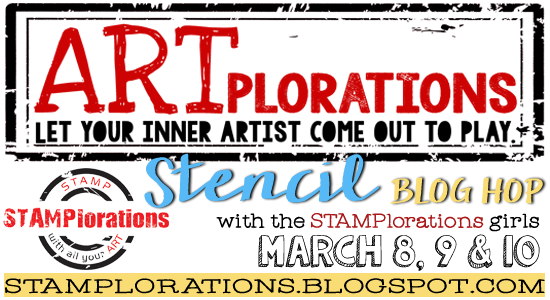 Did you know that STAMPlorations has its own range of stencils, called ARTplorations? You do now! We're having a three-day blog hop to showcase these stencils, and there will be plenty of chances to win if you hop along. I started by layering some papers onto my card, then outlined one of the flowers from the Bold Florals stencil, and one leaf from the Leaf Prints stencil, using a fineliner. Then I traced over the lines with a black Posca pen and added a stalk. I added colour and shading to the flower and leaf with Distress Markers, and stamped the sentiment from Hashtag Authentic. The little zigzag in the top left is from Patchwork Frenzy: Graphic Pentagons. And there may well be some surprise prizes! This is so pretty! Love how you did this! Such a cool look with those warm colors, the torn paper looks awesome ! Fabulous way to use stencils! Such a pretty card! amazing stenciling! Loved it! Now, see, I can never make my patterned paper look that good. Love the juxtaposition of it with your stencilling. Love the torn patterned paper borders, perfect look and the colors on your card. Very nice! Love the fab style of stenciling and hint of zigzag at the top corner is just amazing!!! Those torn off strips are fab!!! This card just makes me wish for spring! Stencils paired with patterned paper...who knew how gorgeous this could be? Apparently YOU and thank you for sharing this new combination (to me, anyway) with us. Sooo pretty! 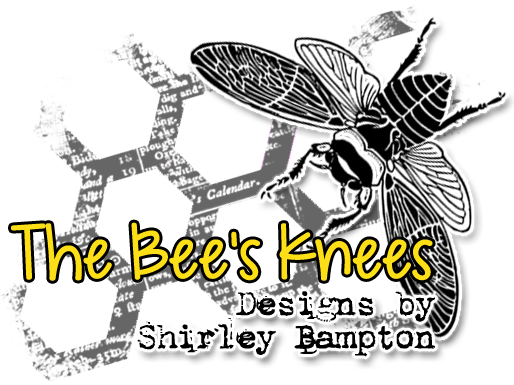 Love your use of the stencils, Shirley. And your card design is so pretty. Love the layering. A fineline give it edges and you can fill the color in. 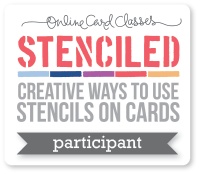 There are tons of ways to use stencils...I am going to play tonight. LOVE this card! Fabulous colors, love the torn papers, great inks....just fabulous! This is so artsy, Shirley. I love the idea of the torn paper, and using a stencil to draw around gives me ideas. Great idea to mix and match 2 stencils, you have inspire me to that, I have both these. 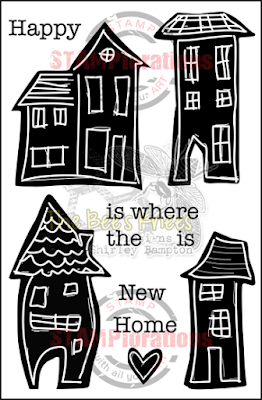 Adding the torn paper on top of the stenciling makes this card. 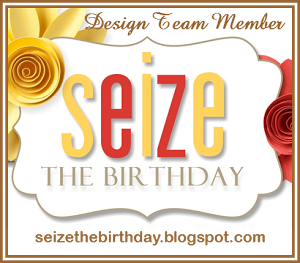 Love your graphic bright and creative card Shirley. Your outlined stencil images and torn layers of DSP are so fun! TFS Shirley. I love this flower stencil and the way you used it. I love the pattern paper and the zigzag does the trick also. 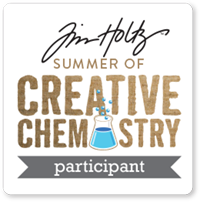 I gave me some great ideas which I would love to try very soon. The card is awesome. 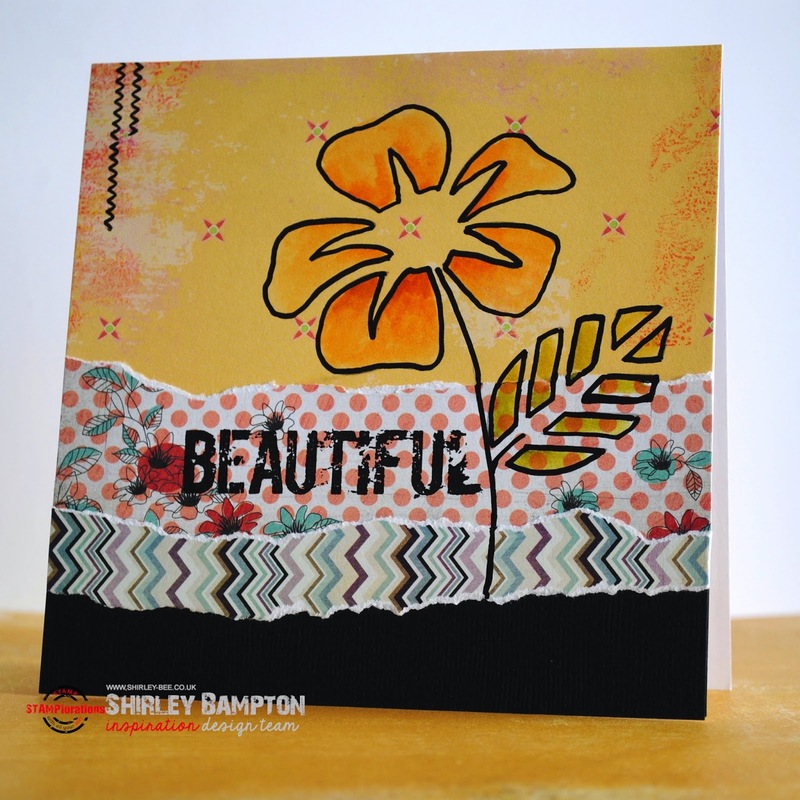 I love all of the layering on your card and the use of your stencil. Great Work! Thanks for the inspiration. Awesome card!!! I love that graphic flower over those papers! Fantastic collage of papers, stencilling and stamping! The black outline makes it pop! FAB! You make it sound soooo easy! Simply 'tracing around the flowers' and 'adding a stem' would take me a month of Sundays to complete! Love the torn paper! 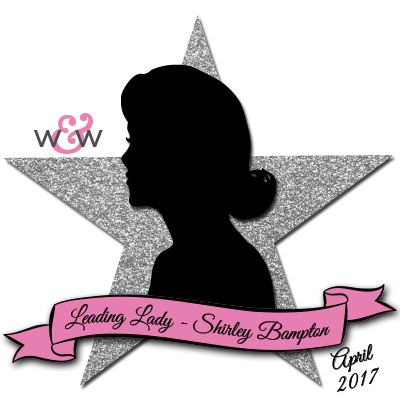 Shirley - great card and you've bought us back to basics with tracing the outline - so much new stuff for us to use these days. Great cards with the torn layers as the base for the flower. SO pretty! That flower stamp is fab. I like the bright colors! Your card is so pretty...n I like the torn strips of patterned paper.